I'm always looking for things to add to my first aid kits, as long as the items are small and useful in many different ways. 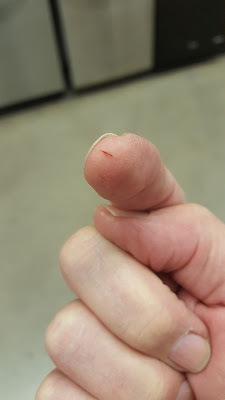 I found one such item at work today, and I needed it after I stabbed myself with a heavy-duty staple, directly into the tip of my right index finger. I do wear gloves for my job, and they are very good at preventing accidental cuts; what they are less useful in stopping is punctures, since they are 'Cut Resistant', not cut proof or anywhere close to puncture proof. I have a review of these gloves in this blog post, if anyone is interested to know what brand they are. A cut like that isn't a reportable 'incident' for work, and outside that time I'd put a fingertip band-aid on and be fine. The problem is with the gloves: I can't get a band-aid to stay on while working. Taking the gloves on-and-off pulls the bandage off and half the time it is stuck inside the glove finger. My right hand is always wearing a glove since it is my holding hand when cutting, so it is important to be protected at all times. As I was going down a Hardware aisle, I passed the personal safety section and I saw Liquid Skin Pro. Evidently this has been in most Home Depot and Lowe's stores since early 2017, but I've never seen it on either of their shelves before today. What makes Liquid Skin® special? Liquid adhesive bandages have been on the market for some time with little variety: sticky, stingy, glue that tends to harden in the bottle and not nearly as transportable as a stretchy “bandaid”. 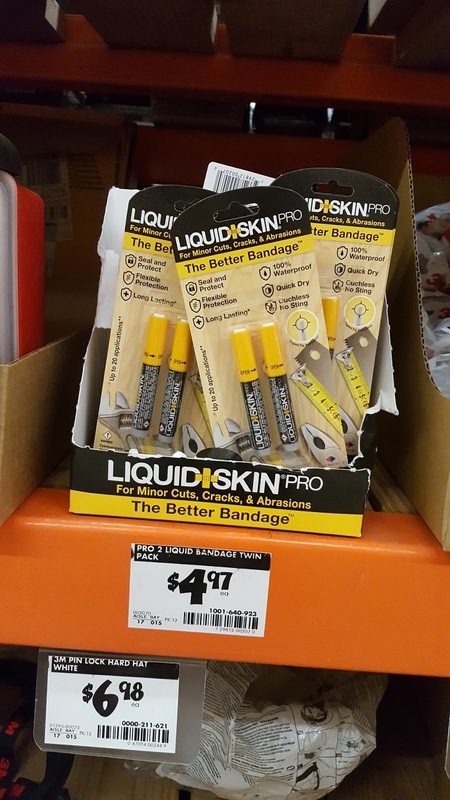 Liquid Skin is the first liquid bandage to provide a single and multi-use applicators ideal for construction, mechanics, and other professional trades. The applicator tip provides immediate topical adhesion that cures in seconds with no sting and provides a tight, waterproof seal that lasts for days. The proprietary Liquid Skin formula is based on the Chemence Medical Derma+Flex QS® product that is FDA-approved and widely sold into hospitals and surgical offices. Using this to seal up cuts is much, much simpler that the Bad Old Days(tm) when Super Glue was the go-to fast wound sealer. I used to do some rock climbing years ago, and with small (and some not-so small) cuts, the only way to keep going was to use Super Glue. No one wanted to leave a smeared, bloody mess on the rock for someone else to deal with! The solvents and ingredients used to manufacture Super Glue meant this was definitely an 'Off Label' use, and it would burn more than the actual injury. I was able to get right to work and didn't have to reapply it until I got home. There was no problem with washing my hands (I did try to minimize getting my finger wet), and one application was all I needed. I bought the two-pack; one tube is now in my mini first aid kit that sits in my lunch box, and the other is going into my sling bag. I will be buying more to go into my GHB and the bigger first aid box in my trunk. Sometimes a traditional bandage just doesn't cut (!) it. Look for the usual items in unusual places; you may be surprised by what you will find. Liquid Skin Pro: bought from Home Depot for $4.97, but available through Amazon for the same price. This is eligible for Prime with a $35 order. Sooner or later, good weather or bad, your vehicle will get a flat. Then you have to get out the jack and lug wrench to change the tire. The latter tool is what this is about. 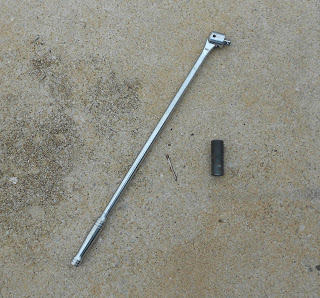 This is the wrench that came with my truck, which is like the one in most cars and light trucks. It's a little over a foot long, which means that unless you're fairly stout in the arms and shoulders, getting a really tight or rusty lug nut off can damn near give you a rupture. If that happens, find a piece of pipe to slip over it to give you a longer handle and more leverage. 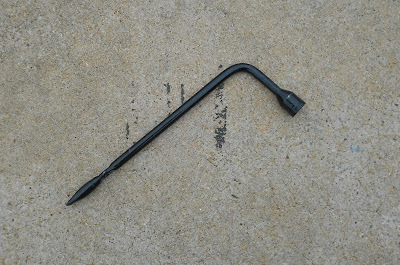 Lots of people pick up a four-way wrench. It's not much longer, but since you can use one arm to push and one to pull, it works better. It also allows you, once the nut is loose, to loosely hold the arm opposite the nut and spin the wrench, removing the nut quickly. I think this is best for loosening and tightening the nuts. This is a two-foot breaker bar with an end that fits into a 1/2" drive socket. It creates serious leverage that'll make it easier to take the nuts off, and to put them back on tightly when the spare is on. Get an impact socket to fit your lug nuts, put it on, and leave it in the car. It only has six points, with the "flats" in between actually convex in shape, This means the flats bear on the flats of the nut or bolt, not the points, which means the socket can put a lot more torque on it without having to worry about stripping the corners. That's a very good thing when you're taking off a lug nut that's been in place a long time and may have some rust/dirt/Mystery Universal Adhesive holding it in place. 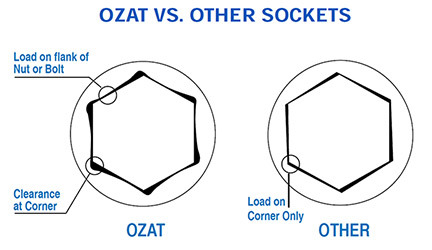 Ozat is a brand of impact sockets. 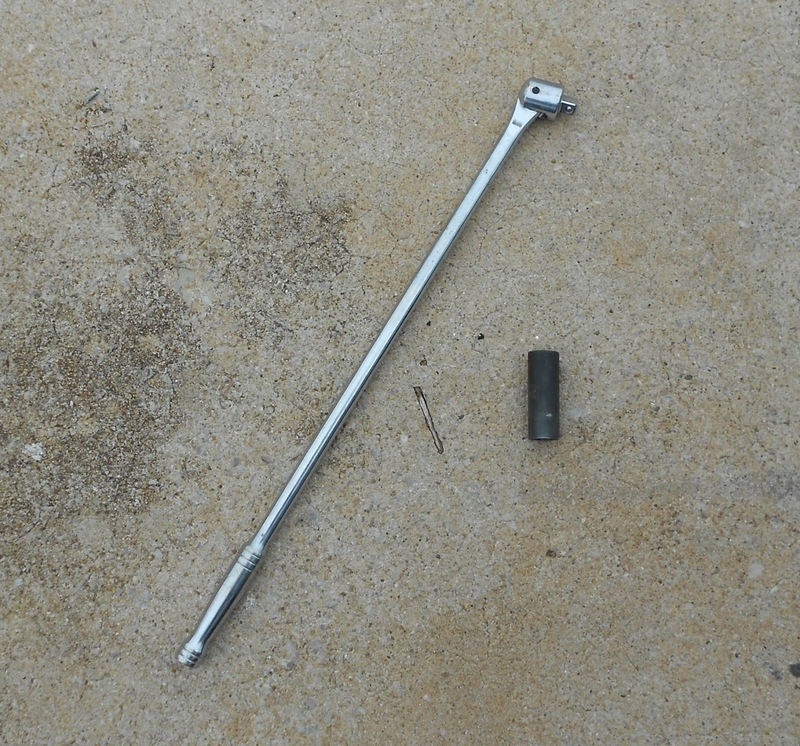 Get a breaker bar and an impact socket for your tires. You'll be glad you did. Remember last November when we put our eggs into storage for the cold winter months? Me too. And the telling is in the tasting! Once again there's been another massacre in another gun-free zone, and once again innocents are dead. As we all grieve for the lives lost as ask ourselves what can be done to prevent this, preppers are silently nodding their heads in mournful acknowledgement of a fact we've known for years but the country is only now discovering: the authorities cannot arrive fast enough. It's unfortunate, but it's true. Police, firefighters and paramedics cannot teleport instantly to your side when 911 is called; they still have to get into their vehicles and cross the intervening miles between you and them. If you are lucky, there will be a unit in your neighborhood, but unless they're a block away or less when they are dispatched you will still need to wait minutes when your life could be over in seconds. Of course, their presence is no guarantee that they will help you, as the inaction at the scene of disgraced Coward County -- excuse me, I meant Broward County Sheriff's Deputies will attest. This sad truth is one of many reasons why preppers are prepared. We understand that if we are in an emergency situation, we are our own first responders, which is why we carry first-aid kits and defensive weapons and seek out training for same. There is nothing we, as individuals, can do to prevent such tragedies, but there are things we can to do to be prepared for them so we can act properly when it necessary. As Discerning Shootist pointed out on Friday, we need to accept: Accept that evil exists; Accept that we cannot change it; Accept responsibility for ourselves and for our actions. If you are licensed to carry a handgun, do so every day and practice with it regularly. 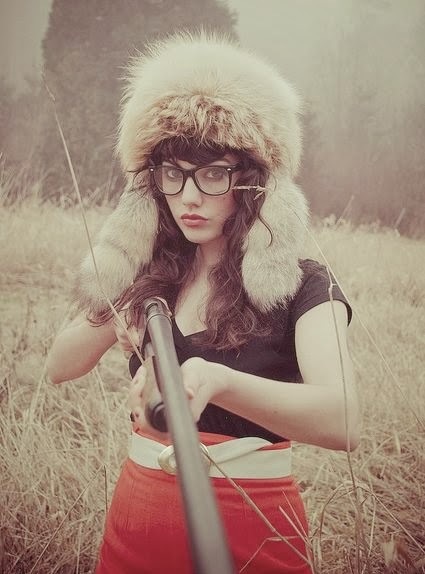 If you don't know how to shoot, contact one of the 1500 volunteers of Operation Blazing Sword. 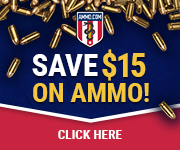 They will gladly take you to the range and teach you the basics of firearm safety and operation, and will put you on the path to acquiring more training and obtaining your carry permit. Attend a Red Cross course on First Aid and CPR. They're free. 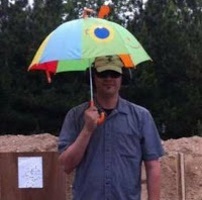 Learn how to use a tourniquet and carry one on a regular basis. Have a plan for how to escape an active shooter incident. I stand by what I said on this topic in 2015, even though some of my suggestions were a bit controversial. Your job is not to stop the shooter; your job is to survive and to protect your loved ones. Please learn how to protect yourself until help (finally) arrives. I believe the solution is simple to discover, though not for the entitled or faint of heart. I don't normally write about “bugging in” as much as “bugging out” due to the nature of where and how I live. In the mostly rural area that I call home, the low population density and ease of travel make bugging in less of a probability (there are fewer things that could prevent me from reaching safer areas) than if I lived or worked in a large city. I realize that the majority of people live in cities, so I've been giving some thought to how their circumstances differ from mine and where the similarities are. Let's start with water. I grew up drinking water pulled from a deep well. A deep well is one that is drilled to a point below the first layer of impervious rock, which means that the water it produces has been trapped underground since before humanity started playing with chemistry. This helps ensure an uncontaminated source of water, as long as the top of the well (the “head”) and the piping is kept clean and secure. The water is clean, clear, and has a taste that varies with the local geology. Ours tends to contain a lot of iron and calcium (“hard” water), while a town well 15 miles away has more manganese than iron; slightly different taste, but still safe to drink. Water softeners are very common around here, because they make water heaters and washing machines last longer than a few years. Some small towns, located away from rivers or large streams, pull their water from shallow wells that are susceptible to pollution from chemicals leaching through the soil. It doesn't matter if the chemicals are fertilizer, pesticides, fuel spills, or industrial residue; the water can have a distinct odor and taste that may affect how people use it. Most cities and larger towns will source their water from rivers or other surface waters, which means they have to treat it before it is “potable” water. This treatment can require a lot of energy and manpower, and the distribution systems are complicated. The infrastructure is also deteriorating due to age and mismanagement, so we end up with places like Flint, MI having tap water that is no cleaner than a common mud puddle. Add in the fact that once potable water gets to a tall building, where it has to travel through hundreds of feet of pipe before it reaches a tap, most office and apartment buildings don't truly have “cold” water. This means that many buildings have a “modern” appliance that most of us wouldn't consider a prepper item. I work in a small shop with people from five different towns, so we are all used to slightly different water. 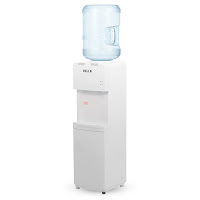 We have a water cooler in the office to give us a neutral-tasting water that we can all drink, and since the tap water is hard it makes the coffee maker (a vital piece of equipment for us) turn out drinkable coffee. We have a company that drops off 5 gallon bottles of water, normally a half-dozen every other week, for a cost of about a dollar a gallon. Lifting a 40 pound jug of water may be a challenge for some, so the home-sized water coolers are designed to take 3 gallon (about 25 pounds) jugs as well. 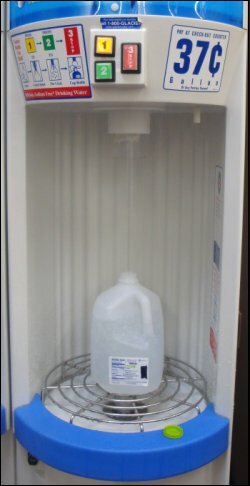 If the delivery company won't come out to your house, every grocery store and Wal-Mart in the area has a machine that filters water and refills jugs for less than half the price of delivered water if you have your own containers (which they sell). The filtration methods vary a bit, with reverse osmosis and ozone treatment being common, but they are going to give you water that is safe to drink and will store for a few months. Think of it as bottled water, but in larger bottles and at a fraction of the cost. How does this fit into prepping? It's ubiquitous. 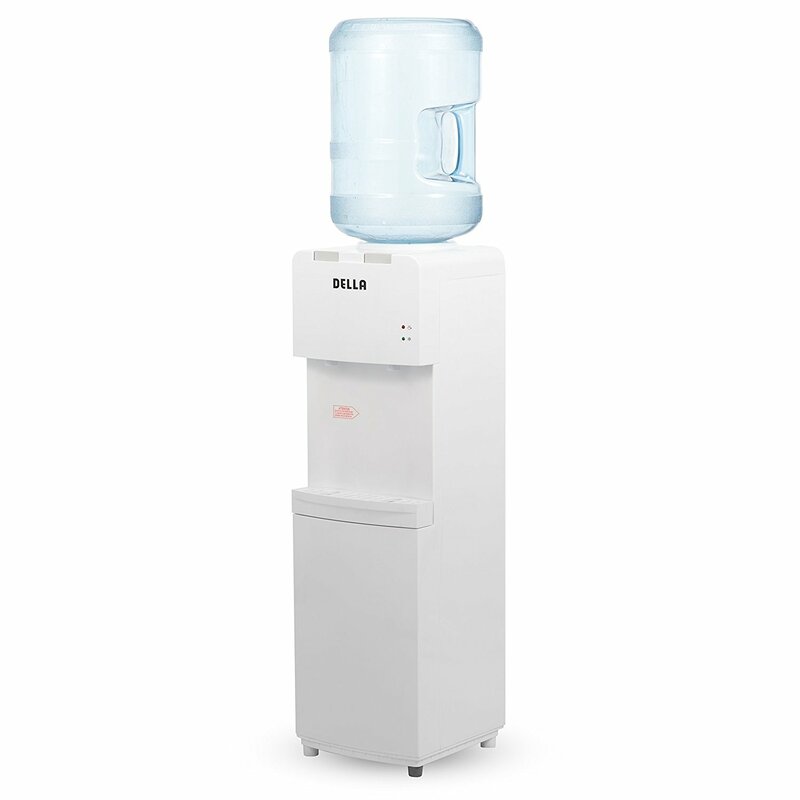 Nobody is going to pay much attention to a water cooler, let alone think you're some kind of nut for storing a few extra jugs of water. It's cheap. A dispenser that can give you cold, hot, and room-temperature water can be found *forless than $100. The hot and cold options will require electricity, but they are handy as long as you have it. No need to boil a pot of water for a cup of tea or instant soup if you have near-boiling water on tap. It doesn't require power. When the power goes out, you will still have a source of water. You may need to insulate it to keep it from freezing, but you'll have water. It's safe. The water coming from a commercial vendor is going to be cleaner than what come out of a tap. Check the labels or give them a call to find out what system of filtration they use, and if they don't want to tell you, that's a sign you should be looking for another supplier. A primer on the various technologies can be found here. It's easy. The standard of storing a gallon of water per person per day includes water for sanitation and food preparation, so a 5 gallon jug should be enough for one person for a week. The bottles store easily, and many places sell racks designed to hold them, or you can make your own. Since the jugs are clear plastic (the glass ones are long gone), checking your water supply takes just a glance. It's for bugging in. You're not going to be lugging a full 5 gallon jug of water around on your back as you traipse through the woods. 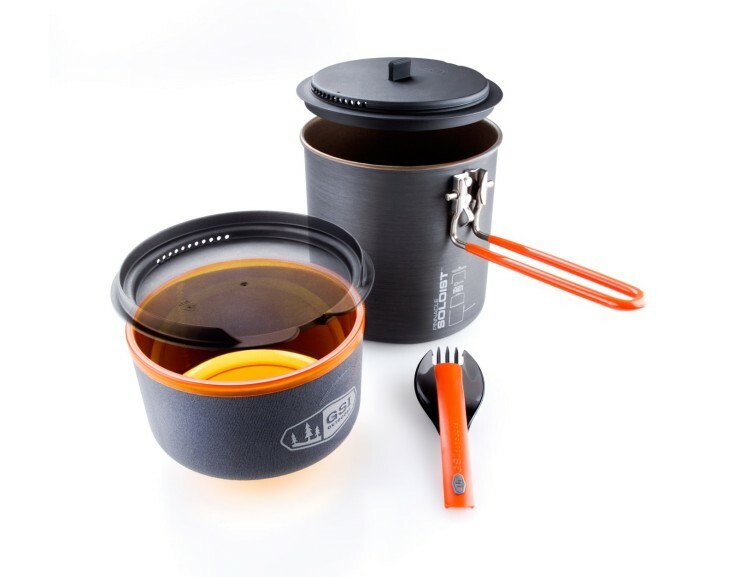 Traveling requires a personal filter system; this is for sheltering in place. FEMA recommends having 3 days worth of food and water on hand, so a family of four could get by with 2 full jugs and a partial on the dispenser. As I said at the beginning, I don't think about bugging in very often but I know there are those of you who may not have any other option. I'll see if I can come up with some more ideas in the near future. There have been other birthdays besides my own recently. I had a chance to help build a GHB again! Well it wasn't really a bag, since what I gifted was just most of the contents of your generic Get Home Bag and not the bag itself. This was the second GHB I've helped build in the last six months, but it's the first in a long time that I've personally invested in completing. This is the start of a second bag for the person it's going to, since they need to tailor the contents for their own needs and climate. 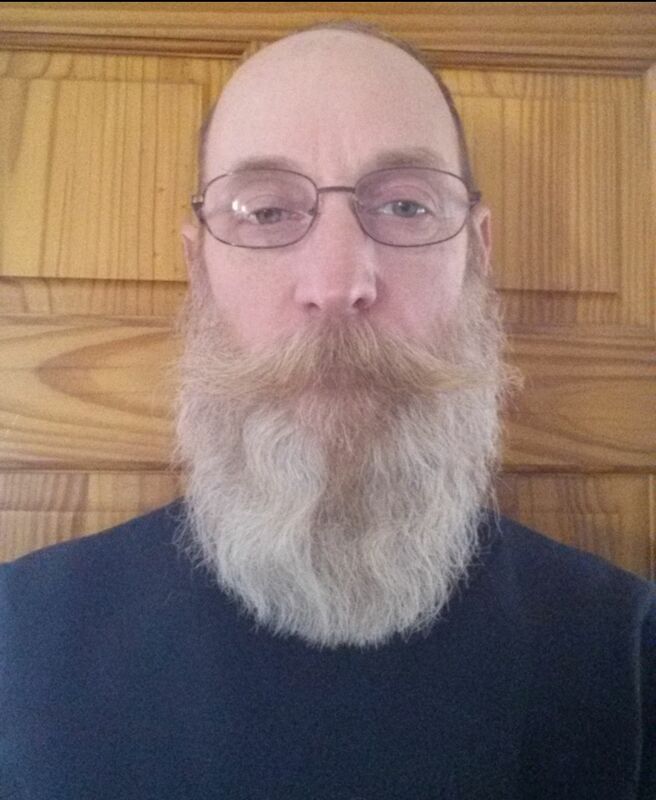 I am in no way an expert survivalist or claim to have any special knowledge or insights on keeping anyone safe. I am also not connected in any way to the manufacturer's of the products I mention here. Don't believe me? See the disclaimer at the bottom of this post (and every post I make) when mentioning or reviewing products. With that taken care of, here is where I always start. There is an somewhat accurate saying the goes like this: "You can live three minutes without oxygen, three days without water, and three weeks without food." 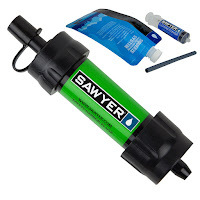 Now, since oxygen is pretty easily obtained, water should be one of the first things secured in an emergency*, so I picked the Sawyer Mini Filter. I really prefer the Sawyer Mini in a GHB because of how small, light, compact and efficient it is. Rolled up, everything fits into a 1 liter nalgene bottle. *Real survival experts may want you to find shelter first, but water is close to number one. Fire is a requirement not only for heat but also for cooking, and having a way to contain that fire is also important. 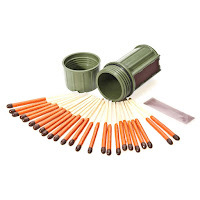 Not only are the matches practically guaranteed to light, they also come in a refillable case! Hedge your bets against the weather with a UCO Stormproof Match Kit. Stormproof Matches are windproof, waterproof and light up quickly and consistently in driving rain, heavy winds and falling snow—and will relight even after being submerged in water. Each kit includes 25 matches, 3 strikers and a waterproof case that floats! I like the Esbit stove in a kit for its compact size. There’s no such thing as "no room“. At least not for this folding stove which really can be stowed away in any equipment. And it’s ready to use in next to no time when it’s needed. Simple and stable stove is constructed from durable, galvanized steel; Folds down to a small, compact size. Includes 6 smokeless, Esbit 14 g solid fuel tablets; Each tablet burns approximately 12 minutes; One tablet boils 500 ml of water in about 8 minutes. The included fuel was supplemented with a second pack. 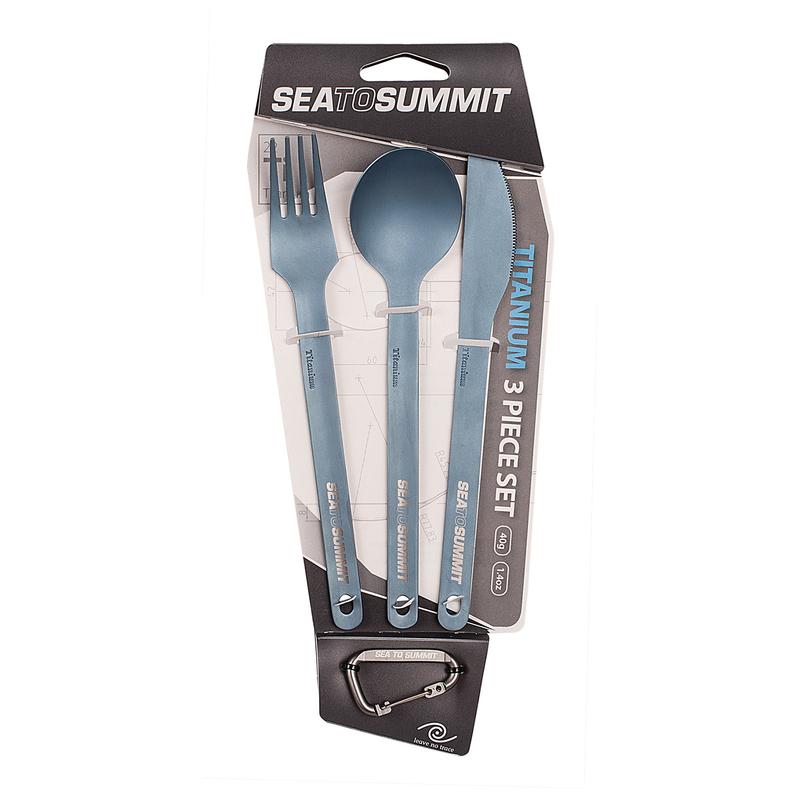 I have these utensils in my lunch box. They work really well and weigh next to nothing. Bottom hole on handle is hexagonal shaped; each piece is a different size hex wrench (3mm, 4mm, 5mm). This is a pot set that will outlast most people who own it. Hard Anodized and everything nests together. All GSI products are amazingly well-built and just cool to look at! Since this GHB Starter Set is a gift to a family member, some splurging took place in selecting these items; a perfectly adequate set can be assembled for a fraction of what I spent here, with most of the savings made in what cooking gear I selected. The pot is the same brand as what is in an existing kit, so on an outing everything will be compatible. Any of the other things that should go into a GHB were deliberately left out, since things like first aid kits, shelter and food can be added as items of personal choice. My weather and wants do not overlap much with the person who received these things. Basic GHB items all seem to be the same: water, fire, cooking and eating. Exactly how you get from your idea of basic to the Finish Line is a topic for discussion among friends, preferably while safe and warm and with plenty of good food and drink. If you are adding-on to existing gear, making things compatible will reduce stress in an emergency. Everything needed to start a very nice Get Home Bag. Happy Birthday! One Sawyer Mini Filter: $19.97 from Amazon with Prime. One set of UCO Stormproof Matches: $8.23 from Amazon with Free Shipping, no Prime. One Esbit Compact Stove: $10.99 from Amazon with Prime. 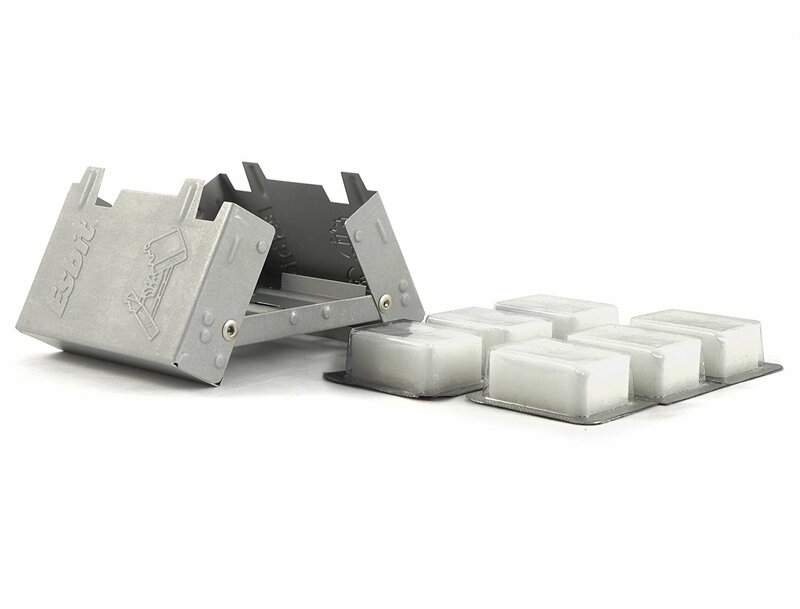 Extra pack of Esbit Solid Fuel tabs: $9.49 from Amazon with Free Shipping, no Prime. 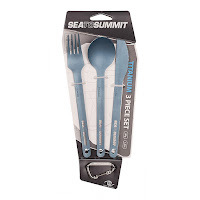 A set of Sea To Summit utensils: $19.95 from Amazon with Prime. One GSI Pinnacle Soloist cook set: $44.95 from Amazon with Prime. Nothing else was purchased this week. 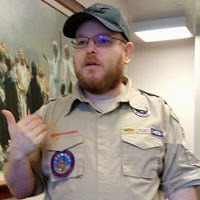 Over two years ago, I was getting geared up for a month of camping with OkieRhio out in Oklahoma. During one of our trips out to Knight's Rest, we were talking about family and our experiences with epilepsy, and I opened up to her about a member of my family that had been dealing with it since before I was born. I told her about how, when I was eight, I watched my mom collapse from a seizure in church. I charged down the stairs to the kitchen, soaked a washcloth in cold water, and charged back up to where they were to drop it on their face. A seizure is your brain trying to fry itself. It's a highly unpleasant thing to experience; I've had two that I can remember, and they were mild ones. A cold rag over the face of someone with a seizure short circuits the brain and blood vessels in their head. It needs to be wet, it needs to be as cold as possible, and after you drop one on their forehead and over their eyes, go get a second one ready because by the time you get back with the second one, the first one will hot in comparison... but the person should have at least stopped seizing up, if not back to being coherent. Rhi gave me a stare. "Doesn't everyone know that?" I asked her, confused and a bit afraid. So you have decided that you want to install solar panels. Now you need to determine how many panels to get, and which kind. To figure out the sizing of the components of your power system, you will need to answer a few questions first. What appliances will you be running off your panels? The first thing you will want to do is make a list of each of your appliances that you want to use when using solar/battery power, which will form the foundation of what you will need. As you make this list, list the power use (in watts) of each item next to it. Every appliance has a wattage rating, which tells you the amount it should consume as you use it. For example, I have a light fixture that uses fluorescent tubes. Each tube in this fixture consumes 17 watts of power. In the case of my light fixture, I can run it with 1-4 bulbs in it. Make sure to mark this on your list. How many of them at once? Look at your list of appliances, find which ones you plan on running at the same time, and mark them. You might (for example) mark each appliance on the list with a M for Morning, D for Day, E for Evening, and N for Night. Add up each the wattage of each appliance used during each of these times separately, and find the highest total out of them. Take that number and multiply it by 1.1 (this gives you a little extra room so that if there is a problem, you are not stuck) and this will give you your minimum peak wattage. Go ahead and round to the nearest ten watts. In my example, I have a light that uses 34 watts (2x 17 watt bulbs) and a laptop that uses 12 watts. You will probably want more, but this is just to show you an example. 34 + 12 = 46 watts. I need at least 50 watts for this example. This lets me know how much wattage I will need for the inverter, to get AC (household) power from the battery bank, or directly from the panels. This will also let me know how many watts of charge controller to use, if I decide to charge batteries and use those for power. Remember that many items will pull slightly more power as they start up than when they are in use! Most real world systems will use much more power. I use a 2000 watt inverter at home and a 400 watt inverter when I am out doing extended camping trips. I keep a 100 watt inverter (with two USB charge ports built in) in my car most of the time, just to use for charging electronics on the go. It is better to have more than you need than not enough! When Will You Be Using It? If it's only the middle of the day, you shouldn't need a lot of extra solar panels, and only a minimum amount of battery backup. If you are running something directly off of solar power, you will want to multiply the minimum peak wattage by 1.2, in order to make sure that you have enough continual power output. Having your equipment shut off and on because a cloud passed overhead, or a butterfly landed on the panels, and caused just enough power drop is both maddening and often damaging to the equipment. The extra power also makes up for inefficiency in the inverter itself. In the example with the 50 watt inverter, you want at least 60 watts of solar power (50 watts *1.2= 60 watts) if you want to run the inverter directly off of the panels. If you are using your power setup at night, you will have to have a large battery bank and a sufficiently large solar panel array to charge them during the day. Days are longer in the summer, giving you more time that the solar panels can be used to power devices or to charge batteries. You will not need as large a solar panel array if you are using it to charge batteries at night. Days are shorter in the winter, and panels can become obstructed by things like snow or fallen leaves. Bad weather, such as clouds, will reduce effectiveness of the panels, meaning that you must have a larger panel array in order to get the same amount of power. If you plan on using the solar panels on a cloudy day, assume that you need between 30% and 50% more panels to get the same amount of power. Less sunlight means less power; I multiply my normal solar power needs by 1.5 in order to get a reliable cloudy day power amount. In my example, if I need 50 watts of inverter power, and I am running the inverter directly off of the panels, I want to calculate the normal operating amount of solar power (in this case 60 watts) and multiply it by 1.5 (60 watts * 1.5 = 90 watts), giving me a minimum of 90 watts of solar power in order to generate 50 watts of power on a day with light cloud cover. What Other Power Sources Do You Want to Use? Will you have access to grid power on a bad day, or is this totally off grid? Will you have a gas or propane generator on hand for hard days, or perhaps a wind power generator? Remember that if your plan is to occasionally “plug in”, either into a generator or grid power, you don’t have to worry about the worst weather and other situations. There are a number of RV users that use this method, as well as people who have off grid cabins. In addition, if you are planning on using a generator to supplement your solar panels, you can use it to charge batteries on bad days. Having supplemental power allows you to size your array for the majority of your use time, without having to size it large enough to deal with the extreme situations. I strongly prefer charging my battery bank from the solar array and using that to power my appliances and electronics. Having a battery bank means that if I have slight cloud cover it is not an issue, and if I want to watch a movie on my tablet after dark it is not an issue. While it is possible to run things off of the solar panels directly, I strongly recommend that you also have at least a small battery backup from which to charge. My father is 82 years old and has Parkinson's Disease. In the years since he was diagnosed, I have seen a man with a sharp mind become unable to perform tasks as simple as tying a necktie. Needless to say, he is no longer fit to handle our family's finances, and both my mother and I have had to stop in and learn the intricacies of our family's financial situation. I don't really have a lot of advice on this matter, as mom and I are still finding our way through this mess. However, we've managed to learn a few things, which I shall pass on to you. My father is, to put it bluntly, secretive and controlling. He came from an era where money management was "Men's Work" and therefore not anything my mother needed to worry about. He became ashamed when he realized that the finances were getting away from him, and so to mask that shame he hid the details of our debt until one day we didn't have money to buy groceries. This was the point where he couldn't keep it from us, and the secret was out. This could have been prevented if my father had brought my mother in as a partner to help with the finances long before the Parkinson's had affected his ability to do math. Finances, insurance, investments; all these things should be overseen by more than one person once a family member has been diagnosed with dementia. 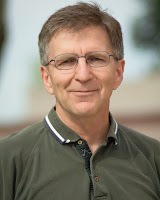 There was a fear at one point that my father would resist telling us the details of our financial trouble and we would have to get him declared legally incompetent so that control would revert to us. Fortunately, that did not happen. It may however be advisable for family members to have PoA over family members with dementia so that when the time comes those family members can make the needed life choices for their loved ones. Granting PoA voluntarily is a much easier process than having the state declare your adult parent incompetent and therefore award you guardianship. I have probably phrased this poorly, but I couldn't come up with a better name for it. Let me explain by example. Be named on their bills so that you can pay them. Be named on their bank account so you can access the money to pay those bills. Be named on the title to their car so that if you take it to run errands, and they forget and call the police, you can prove that you didn't steal it. Be named on the house so that you can continue to maintain it (or even live there) in their absence. Be named on their medical paperwork so that their doctors can discuss their treatments with you without violating HIPAA. Make sure that Wills, Living Wills, and DNRs are all up to date. This obviously requires a lot of trust from those involved, because there is potential for abuse from the unscrupulous. This is why I recommend that these issues be worked out now, ahead of time, rather than later when there is a rush. Far better to plan ahead and take your time with someone you trust than wait until it is nearly too late and have to take whomever you can get -- or, worse, wait until it IS too late and you are appointed a ward of the state. This is all the advice I have right now. If I learn more as we muddle through our situation, I will revisit this topic in the future. This week we wrap up the pillow test with an after-action report. No, I'm not writing about David or myself, even if we do qualify. Over the years (this blog had its fourth birthday in January), I've written a lot about old tech and I've gotten some feedback that questions the wisdom of choosing, say, liquid fueled lighting over the latest and greatest LED lantern. Since I own and use both, it's not really an either/or choice for me; it's more like an example of my desire to have more than one option in most things. Besides, old tech that still works tends to be more robust and easier to maintain than new, high-tech replacements. Fire starting equipment hasn't changed much in the last century, and the flint and steel set carried by trappers 400 years ago is still usable today. The materials to make a new set are still widely available, and while the skills to use it may take a while to learn, it's a skill that humans have had since before we started to write. Matches have improved from the “Lucifers” and “Congreves” of the 1800's, but the modern safety match works the same way. Sadly, the strike-anywhere matches have been declared hazardous material due to the chemicals used and are getting harder to find in stores because of the extra paperwork and cost of shipping them. If you compare a modern bolt-action rifle to one produced before WW1, you won't find many major differences; most bolt-actions are based on the Mauser designs that date back to the late 1800's. The most common sporting rifle in America today is the AR-15, which was first sold in 1963. The AK-47 rifles were introduced in 1947 and were heavily influenced by German rifles made towards the end of WW2. Only in the last few decades have John Moses Browning's century-old pistol designs been challenged with any new technology -- but they still work. The oldest firearm in my collection is a revolver made in 1914, and it isn't much different than the one I have that was made in 2014. Ammunition is another old technology that hasn't been replaced with anything better, although there have been a few attempts. The ubiquitous 22LR cartridge is based on the .22 Short, which was first sold in 1857. The venerable .30-06 became a standard military cartridge in 1906. Shotgun cartridges haven't changed much in the 140 years they've been around. Knife design is an interesting field of study, but it also boils down to “There's nothing new under the sun”. Most of the patterns and shapes of knives were established when we were still using brass and bronze for our tools because we hadn't figured out iron and steel yet. If you squint your eyes a bit, some of the modern knife profiles look a lot like the stone knives used thousands of years ago. Food prep hasn't changed since we started making fire. We may have better pots and pans, but the cooking varies more by region than by century. We store some of our food by drying it, same as every hunter/gatherer group has for millennia; it's just that we have better control over how dry it is now. Canning food is a technology developed for Napoleon's army, because he needed a way to store and transport food that didn't employ butchers and herdsmen. Textiles have changed, but not for the better. With the exception of Gore-Tex and a few other synthetics like rip-stop nylon, it's hard to beat cotton and wool for everyday wear. Easy to clean and patch, the natural fibers are safer around fires and will outlast acrylics and polyester. Natural fibers are also easier to manufacture on a small scale, making them a renewable item. If you ever get a chance to examine old clothing in a museum, you'll find that they tended to be made of cloth that was a lot thicker than what we use now. When you're limited to only a handful of clothes, you want the ones you have to last a long time, so it makes sense to pick ones that are sturdy. Those kerosene lanterns and lamps that I mentioned earlier? Simple oil- or fat-burning lamps have been around for thousands of years. My oldest hurricane lantern is roughly 80 years old, and it still works and I can still get parts for it. If you have a source of fiber and an Inkle loom, you can make lamp wicks. Plant and animal oils will work if you can't find petroleum oils, and their production is simple. 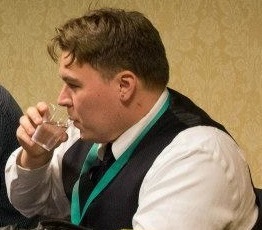 Water purification has improved immensely in the last 30 years. Drinking out of whatever puddle or stream you could find was the only option we had for many centuries, but we also had to deal with the pollutants and bacteria present. Even the cheapest water filter on the market today is a huge improvement over drinking unfiltered water. Medicine and the medical arts have made our lives longer and more comfortable than ever before. Diseases that used to kill or disable are now better understood and treatable, and vaccines have largely removed words like polio and tetanus from daily use. Equipment and supplies that weren't available to doctors and hospitals a hundred years ago can be purchased in your local WalMart. Training has also improved and is more wide-spread, which leads to more people knowing how to treat more injuries and improves the patient's chances of recovery. Information is now more readily available than any other time in history. The days of books being rare commodities are gone (never to return, I hope), and even without the internet the average person has more resource available than they can use in their lifetime. I like to learn and teach about old technology, because it is nice to have a back-up if TSHTF. Knowing how to use and maintain a time-proven system (we recently resurrected a 1974 Ford grain truck at work) that can at least partially replace something lost in a disaster gives me an advantage over someone who thinks that food comes from the grocery store and electricity is a form of magic. I'll be sitting by my wood stove or camp fire, reading a book by kerosene light, while they shiver in the dark trying to figure out why the wi-fi doesn't work any more. 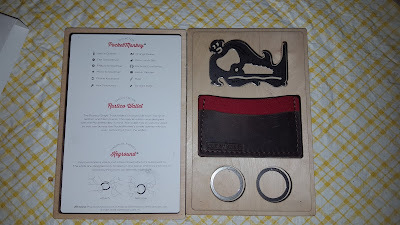 PocketMonkey® multi-tool, two Keyrounds, and a Rustico wallet. What could be better? 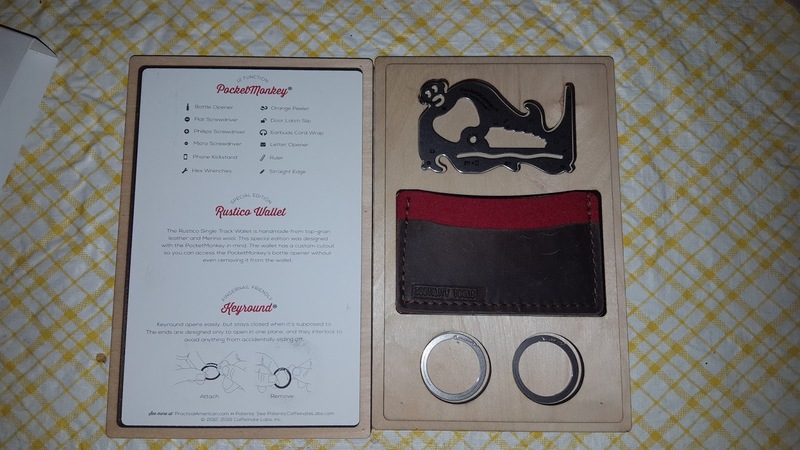 How about the custom cutout that allows the PocketMonkey bottle opener to be used without removing the tool from the wallet! Just pull from your pocket, crack a cold one, and enjoy! Laser cut wood box makes this gift set a perfect present! The box is wood that has been shaped, formed and routed to hold and display the gift items perfectly! This is as cool a package as I have ever seen. It's almost too good to toss out, but it is only designed to hold these three things. Pity. Here is the opened box, showing the inside of the lid. 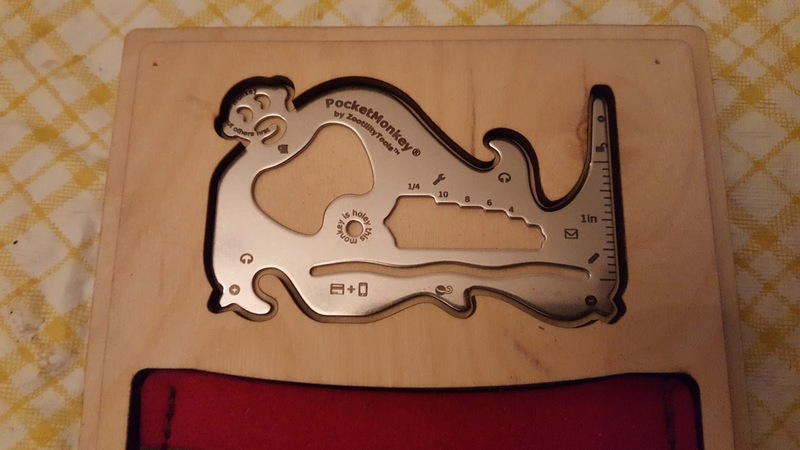 The credit card multi-tool is called the 'Pocket Monkey' and if you look you can see a caricature of a reclining monkey in the shape of the tool. The two key rings are flat, with serrated mating surfaces which are supposed to reduce accidental removal. The wallet is very thick leather with a piece of heavy wool felt sandwiched in the middle and is designed to hold the Pocket Monkey. I don't have any regular bottles to try the opener on at the moment or screws that need tightening, so those functions will have to wait for another day. These types of tools are designed to be Emergency Use Only and while the steel is pretty stiff, I wouldn't expect it to last too long in repeated use. That said, I really do have great friends! I'm keeping this! This is something I'd never buy for myself, but as a really cool gift for the right person, I'd have to think about buying one. The Gift Set is only available from Zootility directly, but the Pocket Monkey is available from Amazon for $12.99 and is Prime eligible. This week we look at the blade I jokingly call the Tactical Combat Trowel. Enjoy. For part 2 of my series on solar panels, I give definitions of basic terminology. Aside from being an excellent Australian rock band, AC (Alternating Current) and DC (Direct current) are methods of delivering electrical current. AC (Alternating Current) means that the current switches direction back and forth. DC (Direct Current) means that it flows in one direction between the positive (+) and negative (-) poles. Electrical power is often expressed as (Voltage) (Current type). For example, household power is usually 120 volts AC, whereas automotive systems are usually 12 volts DC. As a useful note, Amps x Volts = Watts. The ampere, or amp, is a unit of electrical current. Amp Hours are an Amp of Power (unit) over an Hour (time) at a specific voltage. If I have 10 amp hours at 12 volts, I can draw 1 amp for 10 hours, or I can draw 20 amps for ½ hour. If you need to convert amp hours, remember that Amps x Volts = Watts, so 10 Amps at 12 volts = 120 watts, and 1 Amp at 120 volts is also equal to 120 watts. Because of this, I prefer to convert things to amp hours. Wattage is a measurement for electrical power. It is often the easiest way to establish a constant electrical draw amount, even when discussing radically different voltage amounts. Watt hours are a watt of power over an hour of time. This can be useful as a measure of power draw. If you have 100 watt hours of storage, you have 100 watts of power for 1 hour, or 50 watts of power for 2 hours, or 10 watts of power for 10 hours, etc. Cycles per second. Usually used to refer to AC power, which in the US runs at 60 back/forth cycles a second. When talking about solar power, this is mostly used when dealing with inverters (see below). A measure of electrical resistance. The higher the ohms, the harder it is to get power through to something else. A device with high resistance will typically cause inefficiency. A type of solar cell. Solar panels made up of Monocrystalline cells are more expensive, but more efficient. They tend to have a black color. Polycrystalline are less expensive, but less efficient. They tend to have a blue color. A single Photo Voltaic cell. Several of these together form a panel. The most common type of solar cells. They generate electrical energy from sunshine. A device that interfaces between a charge source (in this case a solar panel) and a battery, allowing the battery to charge. These come in several styles, such as Pulse Width Modulation, On/Off, and Maximum Power Point Tracking. Charge controllers are not usually 100% efficient, so looking at the efficiency rating can make a big difference. Some charge controllers include something called a DC-DC converter. This is used to change the DC voltage to another voltage. Lead Acid, the most common. This is the type of battery that cars use. Lithium Ion aka Li-ion. These are usually laptop and cell phone batteries. Nickel Cadmium aka NiCad. Mainly used in older power tools. Deep Cycle, meant to be used when you will frequently discharge the battery, such as during off-grid living. Absorbed Glass Mat aka AGM, aka Gel Type. A type of battery designed to be a good mix of power density and durability, it will not spill if it is tipped over making it a good choice for a vehicle. 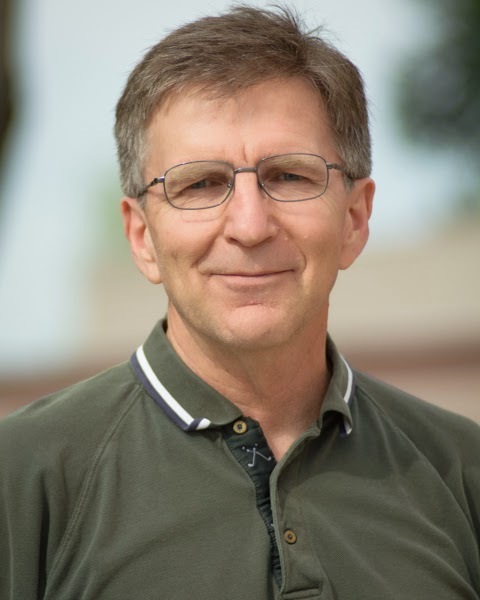 Several extensive articles can be written just about batteries, and I recommend that anyone serious about solar power do more research into them. The smallest individual part of a battery. When one of them goes bad, the entire battery dies. It can also be important to know the number of cells and voltage per cell in a battery, in order to determine the total voltage. An inverter converts electricity from DC power to AC power. The most common inverters convert 12 volts DC to 120 volts AC. Pure sine wave: The most expensive, but the least harsh on electronics and other equipment. Modified sine wave: Most inverters are like this. Square sine wave: Only a few very, very inexpensive inverters are like this. They typically have trouble running anything electronic, or with complex electronic circuits. Inverters are rated in watts, in order to provide a constant measure between voltages. They are rated in continuous power (you can draw this much power constantly, and it should not cause any problems) and peak power (you can go up to this amount briefly, but if you keep drawing this, it can cause damage to the inverter). If an inverter is rated at 120 watts, that means that it can convert 10 Amps at 12 volts DC (a car battery) to 1 Amp at 120 volts AC. This is a general term for being self reliant in power production. For example, if I own an off-grid cabin, then it is probably not hooked up to city power, and I may have a solar panel array or a generator. Off-grid can also be used to refer to things like having your own heating, sewer, or other utilities. It may also be used to refer to producing your own food and/or fuel. In this video I shoot the pillow one last time. (Maybe.) However, it is with the biggest pocket gun to date: my Charter Arms Off Duty .38 Special shooting a Cor-bon 110 grain all-copper DPX load. I apologize for the video problems. Our usual camera ran out of battery midway through filming this series and we had to move to a backup camera, which is why the sound and quality for later videos haven't been as good. This is the last Swiss+Tech (ST) tool review for a while, I promise. I've gone through the ones I have had for a while as well as a couple that I bought just to evaluate, and this is the last of the new ones. Normally people save the best for last, but I decided to give this one a few extra weeks to show its potential and it failed to do so. 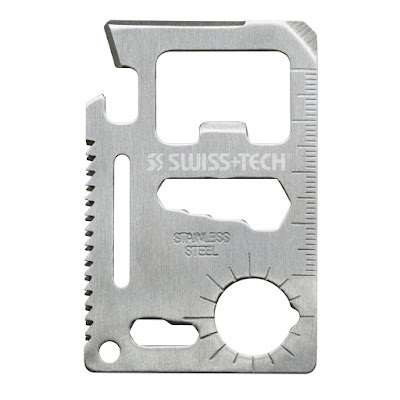 The ST33309 Credit Card Multi-tool is a stamped piece of stainless steel that claims to give you 11 tools in a form that you can carry in your wallet. Smaller than a credit card, it comes in a plastic carrying case with a simple set of instructions in English, French, and Spanish. Priced at under $10, it was cheap enough that I added it to my order of the tools I reviewed earlier. Instead of going through a pros/cons list for the whole thing, I'm going to list the 11 “tools” and my impression of each as I go along. A hook and a beveled edge at the top left in the picture makes a somewhat functional can opener. While it will open cans, it is slower than a surplus P-38 can opener and doesn't grip the seam of the can top very well. The main problem with this design is that you have to grasp the tool with your fingers wrapped around the saw blade when using it. That's poor ergonomics as far as I'm concerned. Located along the top edge in the picture, the knife edge is present but its functionality is questionable: it's a flat blade, with no usable point, so it's limited to “shaving” forms of cutting. As with the can opener, your fingers are likely to be wrapped around the saw blade as you use the knife edge. As delivered, the edge is so dull that it wouldn't cut a plastic bag, so expect to spend some time sharpening it. Since it's still technically a cutting blade, the TSA will likely frown on any attempt to travel with it outside of checked baggage. A medium-sized flat screwdriver is on the top right-hand corner in the picture. It works, but the bulk of the tool prevents you from using it on anything recessed very far. The point of the can opener can be used on #2 Phillips head screws, but deforms under any serious pressure. Stainless steel tends to be softer than carbon steel, so that's not surprising. Stamped into the steel along the right side in the picture is a functional metric ruler with markings every 1mm for a length of 40mm (about 1 5/8th inches). The large rectangular hole at the top with a tongue in it. This is the most useful part of the whole tool, working quite well and is more sturdy than most bottle openers I have tried. Unmarked, but the sizes are 7, 8, 9, and 11mm. When was the last time you saw a wing nut that needed a wrench? They're designed to be used with fingers, and if you need a wrench to loosen one the slot along the left side is only about 1/8th inch wide so it will only fit small wing nuts. Again, your fingers will likely be wrapped around the saw blade or the knife edge as you use this tool. Set along the left-hand side, the saw blade is small (about 1.5 inches long) and will cut through wood. 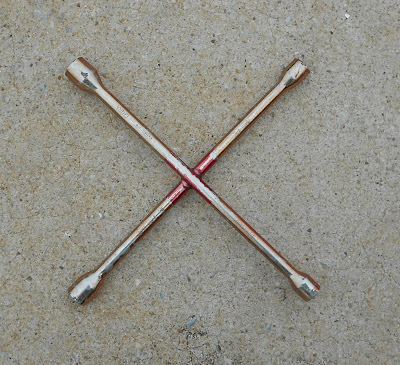 The teeth are stamped in a cross-cut pattern and sharp. Being made of stainless steel, I didn't test it on metal, but it should be able to cut through mild aluminum. This one was a bit puzzling. The instructions say to place the tool flat on the plastic carrying case and fill the round hole (with rudimentary compass marks) with water, then you're supposed to float a magnetized piece of steel wire on the water. The magnetized wire will point towards north. The magnetized piece of steel wire is not included*, and unless you know the trick to floating steel on water (cover it with oil from your skin before trying) this one can be challenging. Since the tool is made of stainless steel, it didn't hold a magnet and won't affect the magnetized piece of wire. Not a very useful addition to the tool in my opinion. Unmarked, but they appear to be 4 and 5mm. Useful if you don't want to lose the tool, which is a judgment call I will leave to you. Of the five ST tools I've covered so far, this one is the most disappointing. Other than the bottle opener, it has very limited usefulness. It's a cute design, but the designers obviously never tried to use it once it left the drawing boards.With the poorly placed saw blade, you're more likely to injure yourself than get any real use out of this one. * If you find a piece of steel that needs to be magnetized, there are ways to do it without using electricity. Sliding it down the edge of another piece of carbon steel (not stainless steel), always going in the same direction, will impart a small, temporary, magnetic field on a piece of steel. I may cover this in detail in a future post. In the off-chance the weather stays in the normal range for California, I dug into my camping gear box to clean and reorganize those items I haven't used for far too long. I pulled out a day pack I haven't used in about three years because the straps were too flimsy and not positioned correctly for my bad shoulder. At the bottom, under some clothing, was a solar charger I first reviewed three years ago! I haven't made any hiking trips of any length in that time, so I had no need for a solar charger, which is why it has been neglected for so long. As I said at the time, the model shown has been discontinued by Bushnell, but they have continued to make a line of somewhat unusual solar chargers. I like the idea of a flexible, non-rigid and non-glass screen charger, since I know how rough things can be treated in a pack or on a hike. As an aside, why is a large percentage of camping gear either black or packaged in a black bag or covering? In the dark or a low-light situation, finding things is really difficult, which is why I overlooked the charger for so long. After cleaning dirt off the bag (which I'm keeping as an Emergency Shareable Bag for friends) and removing some way-out-of-date jerky, repackaged almonds and clothes, I found the Bushnell solar charger. I set it up this morning, facing due South where it would get as close as possible to full sun in my yard. After I arrived home this afternoon I picked up the charger, took it inside and didn't check it until evening. What I found is not what I expected: the charger did not show a full charge, and when I plugged it into a micro-USB cable, it showed as charging. The solar recharge time is supposed to be ~4 hours and the USB recharge time is ~6 hours. I've had it plugged in almost 6 hours now and the charging light is still on. Even though Lithium Ion batteries do not have what is called the memory effect that can damage them in recharging, they can and do go bad -- just not as quickly as traditional batteries. Do I need to say I'm disappointed? Yeah, I thought not. I will be leaving the USB cable plugged in overnight, on the off-chance the battery takes a charge. Wish me luck. UPDATE: This morning the "charged" indicator is lit! I need to drain the battery several times and see if I can, in fact, get a good, solid solar charge. 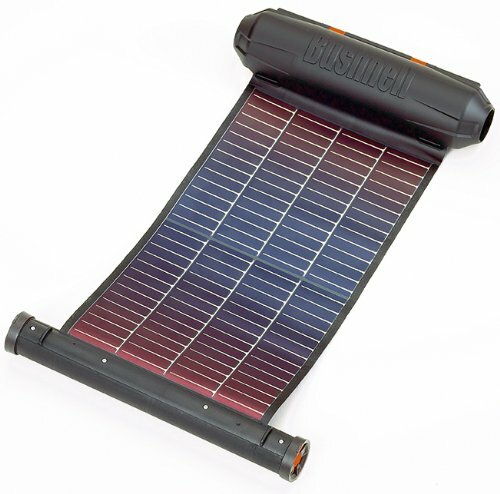 Keeping an accurate inventory and cleaning out stored, seldom-used items can prevent expensive-for-me disasters..
One (possibly dead) Bushnell solar charger similar to this model. $39.99 from Amazon, with free shipping but not Prime eligible. Surprising to me is the fact that 3 years on, the Amazon price for a current model is very close to the clearance price on my original buy! I want to break down the three blades I'll be using for all my backwoods and "innasticks" work this year. I've explained some of the rationale behind my selections; now I want to show exactly what I'm carrying and how I expect they'll fill all the tool needs I have when I leave civilization. 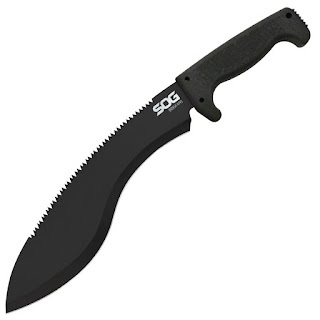 We'll start big and work down, meaning that this week we will focus on the SOGfari Kukri machete. The blade on my machete is obviously a kukri pattern, but they offer many other styles including bolo and traditional Latin varieties. Whichever style you pick, they all accomplish the same tasks. The handle is nicely rubberized and fits well in my hand, and has good, functional stops at each end to keep me from getting cut or losing the tool. The overall balance is quite weight-forward, which is something we want in a chopping tool. Think of a machete as a hatchet with a long blade and a short handle; where an axe or a hatchet uses weight to build chopping momentum, the machete uses that forward balance to drive energy into your work piece. The blade comes from the factory with a decent edge on it, as well as a sawback. The saw has sharp teeth in a very functional pattern, which makes me hope it will function well, despite being in a somewhat awkward position on the curved blade spine. The sheath is where I encounter my biggest criticisms on this tool. It is slow and involved to draw from, due to securing the blade with a zipper and a Velcro flap. The kindest thing I can say about it is that it does a good job protecting the blade. In addition, belt carry is less than ideal. If you have dreams of carrying this machete and wielding it like a short sword, I recommend eating fewer spicy foods before bedtime. I carry it on my pack in the same place I carry my hatchet. In that position, it carries well and the limiting parts of the sheath don't bother me as much, but they are something to be aware of. All in all, it is a solid chopper and a good start to the three-blade toolkit.